If you are searching for a contractor for a custom home build, an addition, or a simple bathroom remodel, no project is too big or too small for VB Homes. Our expertise and experience ensures that your project will be executed with the utmost care and attention to detail, and we will happily walk you through the entire design and construction process to answer any and all questions as they arise. The VB Homes offers over 31 years of experience and our headquarters is located in the Hilltop area of Virginia Beach. We welcome you to schedule a meeting to discuss your particular remodel, design or new construction. We would be honored to assist you in bringing your vision to life. If you are look to build or design your dream home, give us a call at (757) 942-4236 or click the "Contact Me" button to send us a message. We look forward to working with you! Transform your residential space inside and out with services from All In Builders, a class-A remodeling contractor with an extensive new construction background based in Chesapeake, Virginia. Specializing in additions, remodeling, updating your entire home, kitchen and bathroom remodels, we build porches and decks and sunrooms our crew has more than 25 years of experience in all aspects of renovations. We are ready to help you achieve your remodeling goals. We are a professional Class A contractor renovating homes in Virginia and North Carolina for over 25 years. We are a dedicated, professional and a hard working team, building and renovating spaces to make customers' dreams come true. We are a professional home remodeling company located in the Hampton Roads area of Virginia. We offer experienced planning assistance and follow-through with detailed results. As a Design-Builder, we start with your ideas and design your project first, so you will see your end-product. We believe the process is supposed to be fun and according to schedule.We have plenty of references and we understand that the way each project ends is most important. Family owned and operated, we perform all levels of building and remodeling. We offer start-to-finish solutions for every project. We also offer full concept design services. We specialize in additions, garages, interior & exterior home renovations, including bathroom & kitchen remodeling, and more! We guarantee high-quality construction for each and every project. Check out samples of our recent work and you'll agree that we're the best choice for your home renovation project. 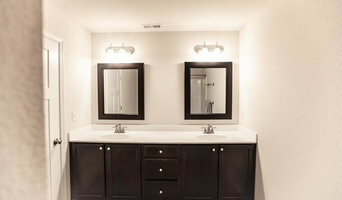 Virginia Beach's Trusted General Contractors - 4x Best of Houzz! Jim’s professional story and the story of Schneider Custom Builders are one and the same as SCB is truly built in the image of its owner. Jim started the business in 1984 primarily focusing on single phase contracting. He was proficient handling projects such as roofing, siding, decking and framing since he had grown up working for his father, a successful home builder. In 1986, framing became his focus as Jim built a 10 crew framing business, a phase of construction that is still one of the pillars of SCB today. In 1992 he built his first full home and the professional growth for Jim and his business continued to evolve. In 2003, after successfully building many homes in the Northeast, Jim and his wife Sue moved both the business and their family to Virginia. SCB has since served all of Southeastern Virginia including the Eastern Shore, Williamsburg, Norfolk, Virginia Beach and the Peninsula. For many years, SCB has worked with architects and designers to build many beautiful vacation and retirement homes along the Chesapeake Bay on the quaint and beautiful Eastern Shore. Jim enjoys an excellent reputation among the Shore locals and continues to build there today. Jim is a very personable, down to earth guy. An excellent communicator, especially on the listening side, his clients enjoy a close working relationship with him and his team. It is not unusual for those relationships to continue long after the projects are complete. He is a true perfectionist and his reputation reflects that. Jim and SCB are truly one and the same. 10% Off For Military Personnel! 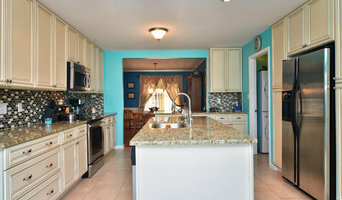 A full service award winning remodeling company, family owned since 1976. We are proud of the fact that 98% of our business comes from repeat customers or thier referrals. "Changing Spaces Not Places"
Founded in 1996, Eric Joffe Construction Corp is still a family owned and operated business. As a premier custom home builder in Hampton Roads, we have a proven track record and more than 20 years of experience with residential new construction, additions, remodels and moisture repair and remediation of both residential and commercial buildings. We believe that quality is not enough when it comes to building or renovating your dream home. It takes the experience, guidance and dedication of a professional team to produce results that you will love. We undertake a limited number of projects at a time so that we can devote the time and attention we believe is needed on every job. It is this attention to every detail that enables us to deliver the quality and craftsmanship on which we have built our business and our reputation. Specializing in personalized kitchens, baths, sunrooms, and additions, Criner Remodeling is a design-build, residential remodeler that has been renovating the Virginia Peninsula’s homes since 1977. Criner Remodeling serves the Newport News, Hampton, Yorktown, Poquoson, and Williamsburg areas. Robert Criner started as a one-man operation nearly 40 years ago, and today the company has a team of 15 professionals in the remodeling industry. Criner Remodeling was named the nation’s 2012 Remodeler of the Year in recognition of its professional remodeling achievements by the National Association of Home Builders. Our company specializes in custom residential construction and renovation. We provide a full range of home improvement services and take great pride in our thorough, time-tested building methods. Our clients are given access to the highest quality materials from the leading manufacturers in the industry. We build every project, the right way, the first time. Our team is dedicated to providing our customers with exceptional quality for their home construction and renovations. Collectively our management team represents over 126 years of construction experience. Everyday we put that experience to work to ensure that our customers receive superior quality and service. We offer a free consultation to assess your project and provide you with an estimate. With over 50 years combined construction experience we can tackle most any project that comes our way. 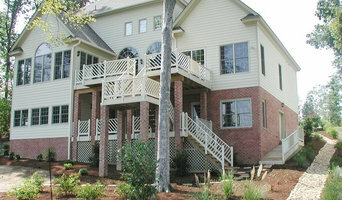 We specialize in custom decks, screen porches, enclosures, sunrooms and additions. We work with you step by step from the beginning of the design process through to the finished product. We take the time to listen to your needs, your concerns, and most importantly, your ultimate dreams. Only by getting to know your lifestyle can we make those dreams come true! OutBack Construction has chosen to focus on maximizing outdoor living enjoyment and our customers consistently receive the rewards. We are committed to building a better product, using only quality materials and proven techniques. 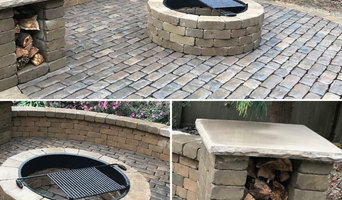 Albemarle Contractors, Inc. is an Outer Banks based construction company owned and operated by Joe & Lori McGraw, a husband and wife team that was established on the Outer Banks in 1989. We truly enjoy the building industry and it is our pleasure to do business with people desiring high quality results in the construction of their residence or vacation getaway as well as renovations and light commercial projects. Many years of experience working and living in the unique coastal barrier island environment has shaped our business and our lives. We are a full service, environmentally responsible, construction company and are available to assist in the planning, preparation, and design phase through the completion of your home or project.